After turning to my usual source of flight booking wisdom Skyscanner, I found us some pretty cheap return flights with Norwegian which were made even cheaper by just taking a carry-on (ideal for 3 day break), once the flights were booked I got onto the task of looking for a hotel and somehow stumbled upon the Catalonia Berlin Mette where we would each get our own double room for £120. So all in all the flight and hotel came in at about £180 for 2 nights and 3 days…not too shabby! As soon as I’d booked the flights and hotel for the three of us, I immediately went into trip planning beast mode. That was until the other half reminded me that this wasn’t a trip where I would be able to plan everything like I do with our trips together as my friends probably wouldn’t want to do the same as I did and may not want to be tied to a schedule. So I held off and the only thing I did plan and pre-book was our time at the Reichstag Dome (more on that later) as I read in my trusty Lonely Planet that slots sometimes go up to 3 months in advance but I did back-up plans up my sleeve just in case! Once a planner always a planner! On arrival I was super pleased when everyone agreed to get a taxi from the airport to the Hotel, I’d looked at how to get there on public transport back at home but I always like to start a trip off easily and getting a taxi from the airport to accommodation is one of the little luxuries I like to indulge in. After arriving at Catalonia Mette and checking into our rooms we had a great chat with the reception staff who talked us through the basics of the Berlin metro system and how we could probably walk to the majority of the must-sees from our location. 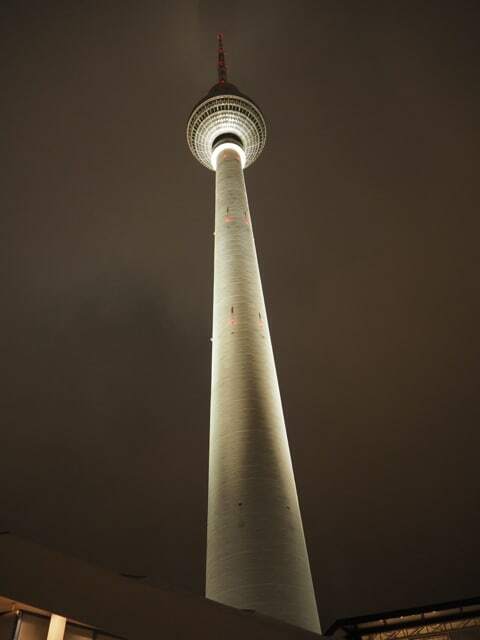 So we set off walking, and we were soon at Alexanderplatz, a central transport hub for Berlin full of shopping malls, more shops, hotels and the iconic Berliner Fernsehturm. A 368m tall tower with viewing platform and a revolving restaurant at 207m. 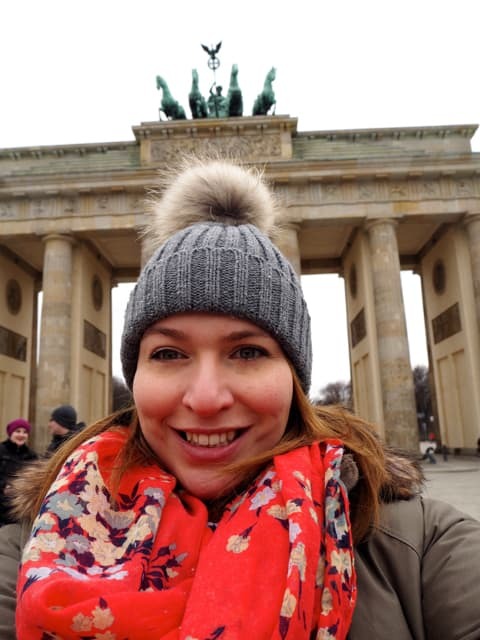 We carried on walking and found ourselves at the Berlin Cathedral more commonly known as the Berliner Dom, a rather impressive noir looking building that provided the perfect backdrop to our first trip selfie! We didn’t go in and our first trip out of the hotel was to get our bearings and we had a bit more exploring to do before our first afternoon and evening came to an end. However we didn’t get very far and ended up retiring to a couple of bars for drinks and food before an early bed. 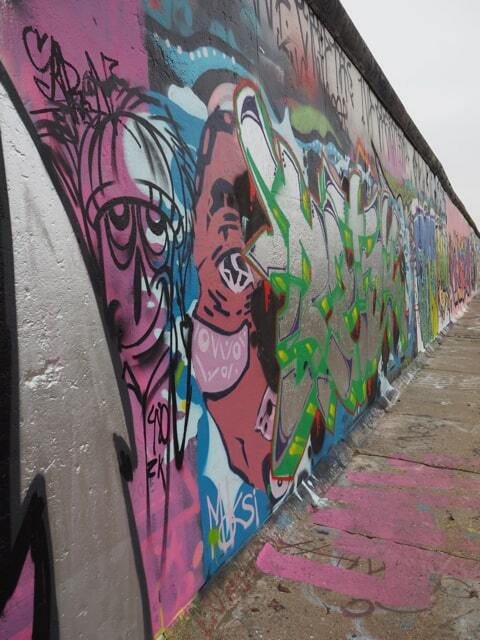 We set off at reasonable hour in search of Breakfast and the East Side Gallery, conveniently only a 20 minute walk from our Hotel. Finding the Gallery is easy by public transport, with Ostbahnhof, Schlesisches Tor and Warschauer all within walking distance. 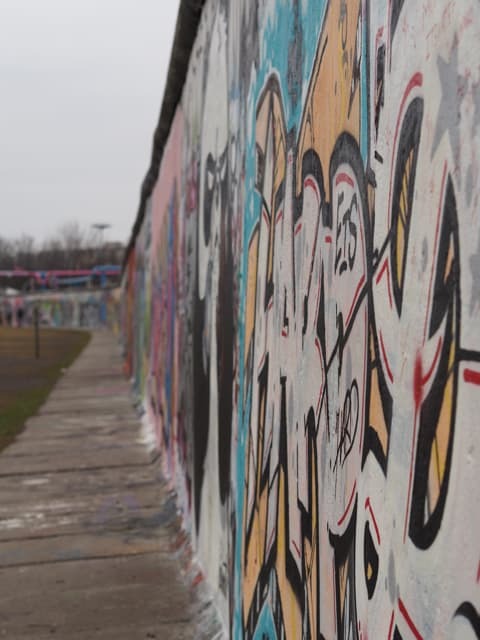 Once there it’s the perfect area to get some arty shots and learn a little bit more about the history of the wall, we timed our visit just right as there were no barriers in front of the art-works due to filming so ideal for photos. 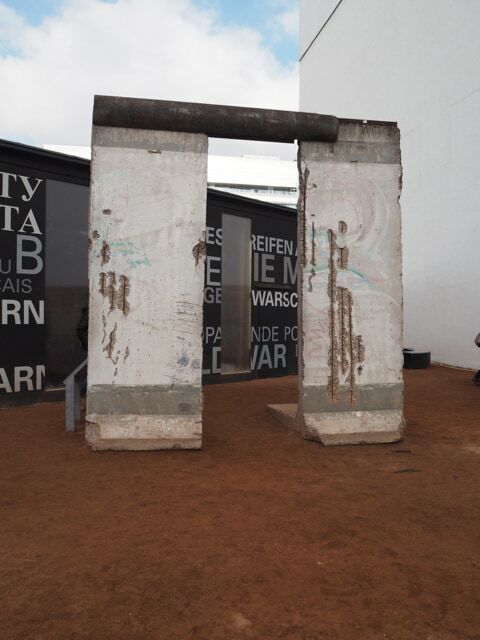 Barriers are now common-place in front of the most famous works due to grafitti which is ironic in a way. We also timed our visit just right with a trip to slightly kitsch Pirates for a hearty and excellent value brunch. After Brunch the weather decided to take a turn for the worse and instead of spending the rest of the afternoon walking around we decided to hop on a tourist bus! We bought a combined ticket that meant we could go around two hop-on hop-off circuits for the next 48 hours, perfect if the weather is not behaving or you’re got people in your group not up to walking miles . Secretly I love to geek out on stuff like this, I’ve hopped on these buses in other cities most recently Bruges and genuinely enjoy listening to the slightly cringe-worthy commentary. 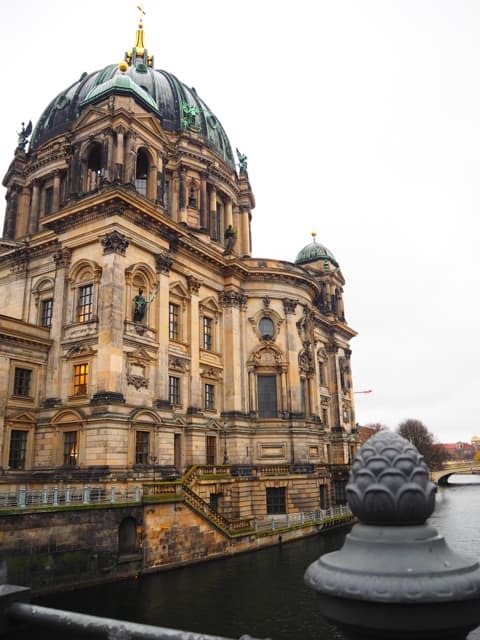 The tourist bus takes you to all the major sights and delivered us just in time for our viewing of the Reichstag Dome. 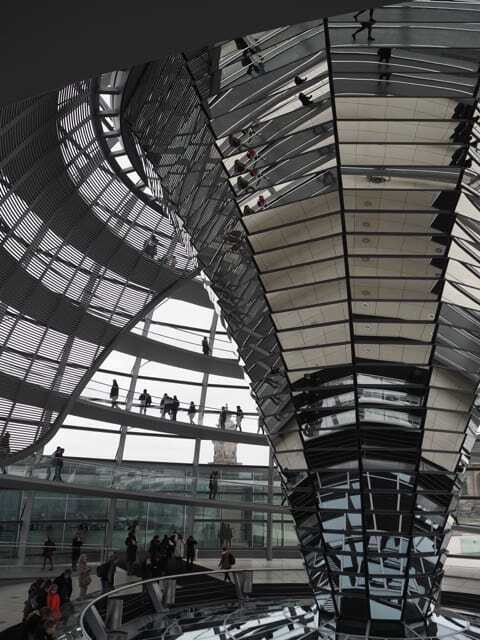 The home of the Bundestag (German Parliament) is available to visit for free if you register in enough time before your trip and the view from outside the Dome is impressive but the real wonder is inside the Dome itself. 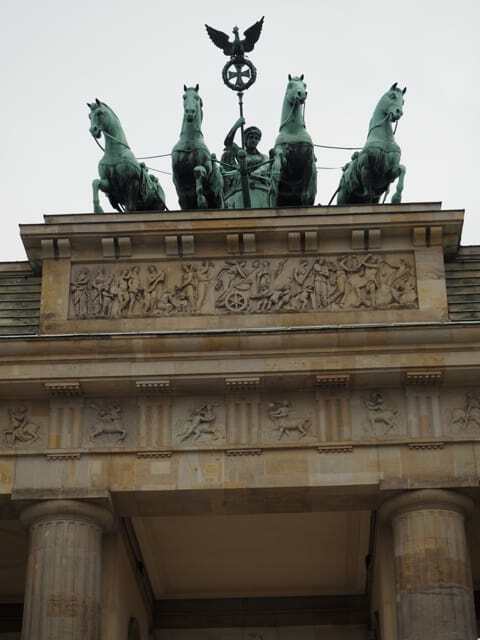 It’s then just a short walk to two of Berlin’s most infamous sites, the Brandenberg Gate and the Holocaust Memorial. Of course I wanted to get lots of pictures of the gate and stopped to do so but I was really taken aback by how moving the stone Memorial to the Murdered Jews of Europe is and how your presence amongst the stones really does make you stop and think. 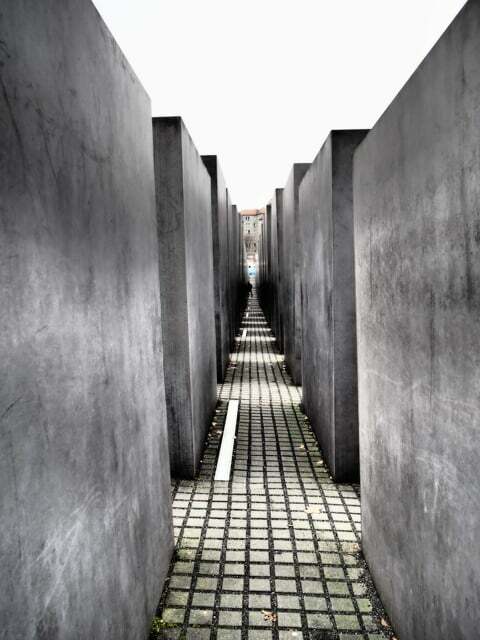 I don’t feel other monuments and memorials do this in the same way, the sheer scale and vastness of the differing sized slabs do make you feel uneasy and disorientated something which architect Peter Eisenman intended and it does make you reflect and contemplate this dark era in our history. After all that reflection you’ll probably be in need of a beverage or maybe a stiff drink if you’re anything like me. We hopped on our tourist bus and headed for the shiny, newish area of Berlin known as Potsdamer Platz. Not doing my usual research it was only here that we discovered we had come to Berlin in the middle of the film festival and the area was overrun with people all to do with the event. But we were in need of wine and something to eat so slid into a nearby bar and bad blogger confession here I can’t remember the name of it and for some reason I didn’t write it down! 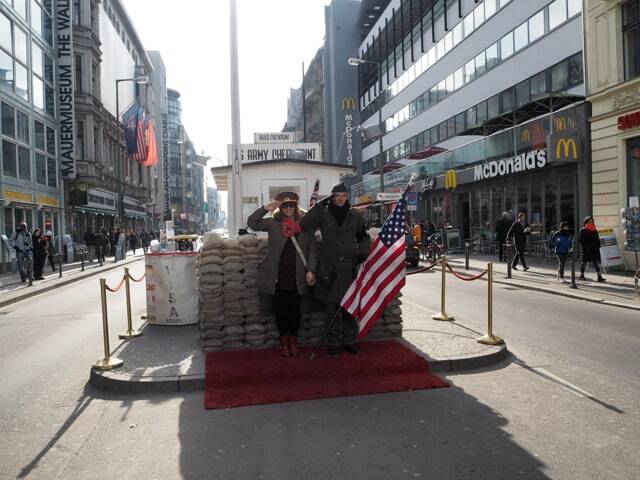 On our last day we decided to embrace the proper tourist within us all and get our pics taken at Checkpoint Charlie. 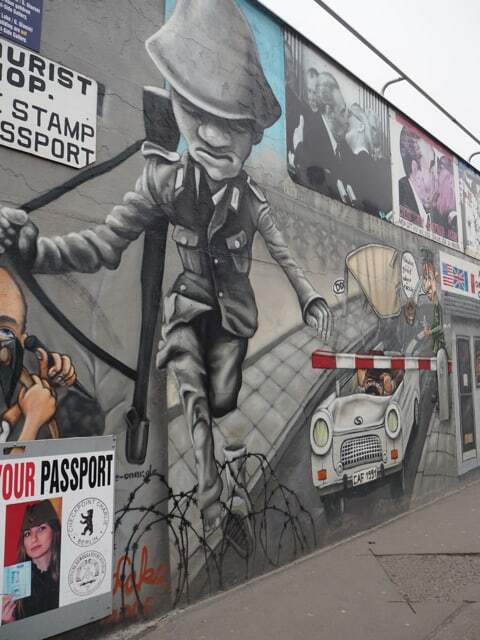 For a small number of Euros you can pay to have your picture taken with the actors that are now positioned at the Checkpoint instead of soldiers checking those crossing between West and East Germany in 1961. 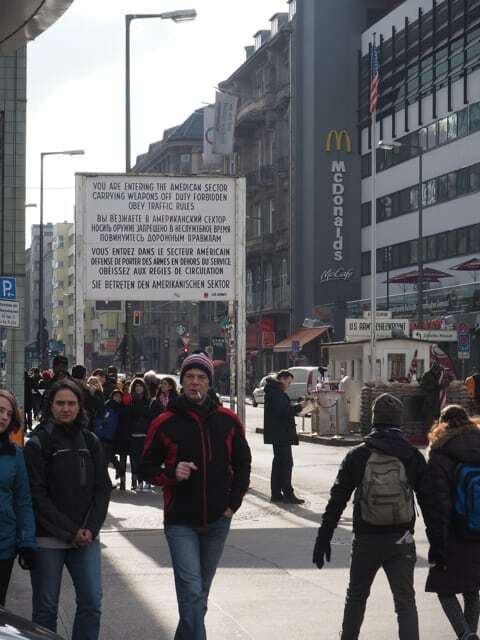 The checkpoint is now surrounded by reminders of our capitalist culture with McDonalds easily in the view of most pictures snapped at the checkpoint. 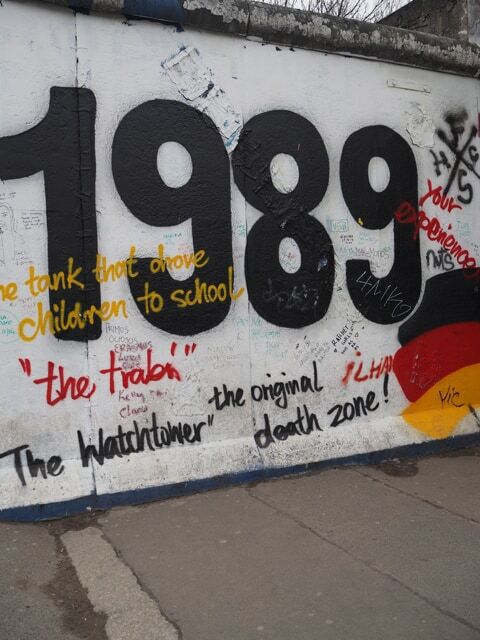 But there is a really interesting outdoor exhibit that explains the history behind the wall just across the road where you can find out about the checkpoint and some of the harrowing events that took place there, there is also 1 section of the wall on display and a multi-media show that goes into some of the local’s lives at the time. As the weather was so dismal at this point we hopped back on the buses and did a grand tour of all the stops, stopping for lunch and drinks when we felt like it and not worrying about checking off anymore sights and just enjoying each others’ company before the flight back to London later that afternoon. 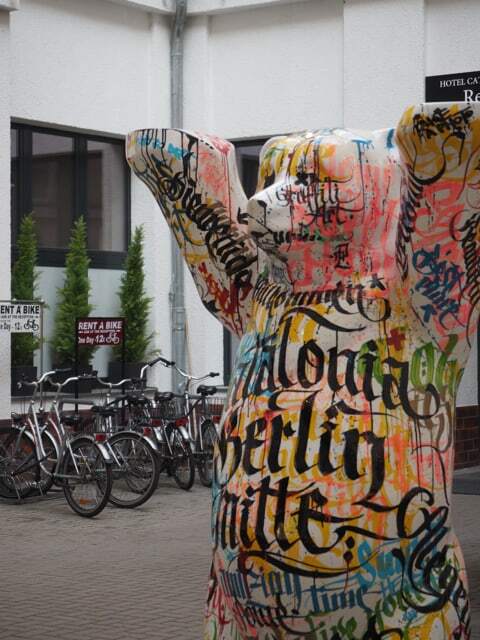 Berlin is perfect for an easy city break as you can do as much or as little as you want, all the major sights are within fairly closely proximity to each other so you don’t need to spend ages trawling around and can just enjoy the many bars and restaurants. We didn’t sample any of the infamous Berlin nightlife on this trip but I am told that it’s pretty impressive if that’s your thing. I’d love to return in the Spring and do a bike tour and drink in the bars alongside the river so maybe that’s a trip for the future. 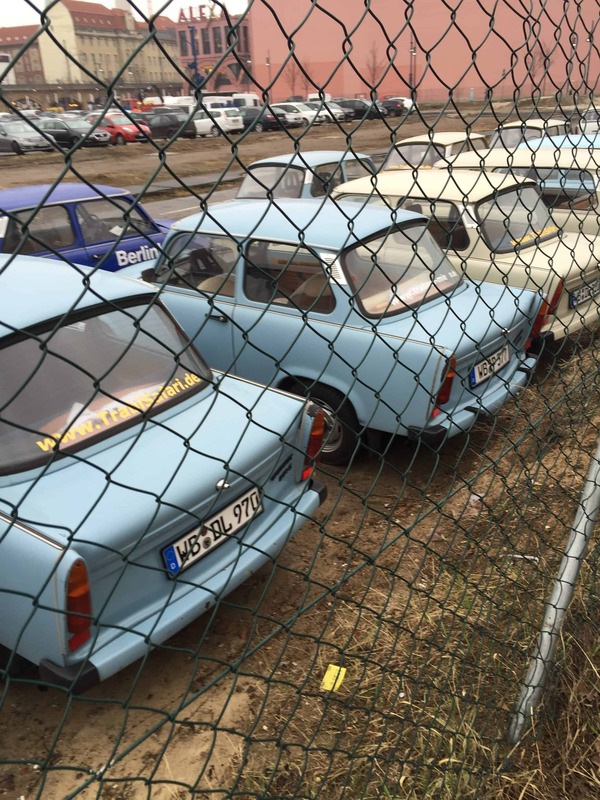 Have you been to Berlin? What did you think? Would you return? Wow, there is so much to do! 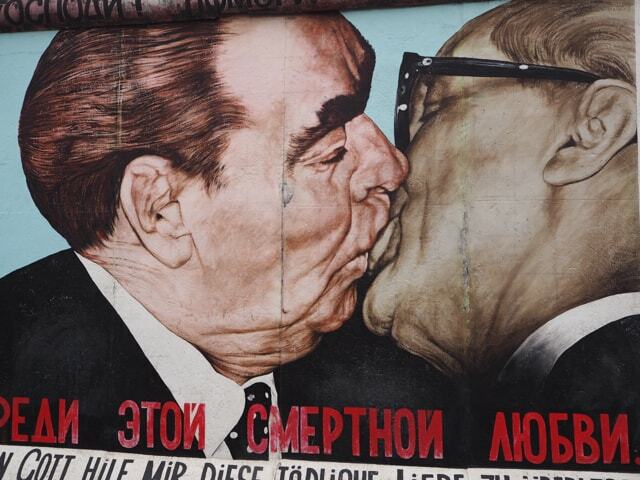 Like you, I haven’t made plans to visit Berlin and it wasn’t on my radar but I think I’d like it a lot!